Wonderfully weird. If your adolescence was nursed by Anne Rice novels and Joss Whedon re-runs, then these stories will resonate with you. She has been hailed by Michael Chabon as "the most darkly playful voice in American fiction" and by Neil Gaiman as "a national treasure." Now Kelly Link's eagerly awaited new collection--her first for adult readers in a decade--proves indelibly that this bewitchingly original writer is among the finest we have. Link has won an ardent following for her ability, with each new short story, to take readers deeply into an unforgettable, brilliantly constructed fictional universe. The nine exquisite examples in this collection show her in full command of her formidable powers. In "The Summer People," a young girl in rural North Carolina serves as uneasy caretaker to the mysterious, never-quite-glimpsed visitors who inhabit the cottage behind her house. In "I Can See Right Through You," a middle-aged movie star makes a disturbing trip to the Florida swamp where his former on- and off-screen love interest is shooting a ghost-hunting reality show. In "The New Boyfriend," a suburban slumber party takes an unusual turn, and a teenage friendship is tested, when the spoiled birthday girl opens her big present: a life-size animated doll. Hurricanes, astronauts, evil twins, bootleggers, Ouija boards, iguanas, The Wizard of Oz, superheroes, the Pyramids . . . These are just some of the talismans of an imagination as capacious and as full of wonder as that of any writer today. But as fantastical as these stories can be, they are always grounded by sly humor and an innate generosity of feeling for the frailty--and the hidden strengths--of human beings. In Get in Trouble, this one-of-a-kind talent expands the boundaries of what short fiction can do. 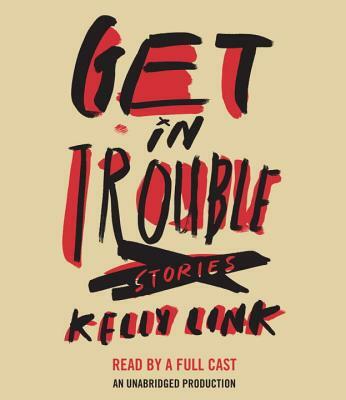 Kelly Link is the author of the collections Get in Trouble, Stranger Things Happen, Magic for Beginners, and Pretty Monsters. She and Gavin J. Grant have co-edited a number of anthologies, including multiple volumes of The Year's Best Fantasy and Horror and, for young adults, Monstrous Affections. She is the co-founder of Small Beer Press. Her short stories have been published in The Magazine of Fantasy and Science Fiction, The Best American Short Stories, and Prize Stories: The O. Henry Awards. She has received a grant from the National Endowment for the Arts. Link was born in Miami, Florida. She currently lives with her husband and daughter in Northampton, Massachusetts. From the Hardcover edition.